You'll discover that creamy cheese and sour cream make this easy strawberry cheese salad a good choice for luncheon menus. 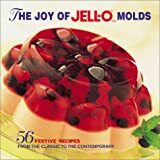 Cut this jello mold recipe into squares and serve on crisp lettuce leaves for a change of pace and a decorative addition to your buffet table. Strawberry jello recipes are making a comeback, so why not add this recipe to your next lunch or dinner menu? 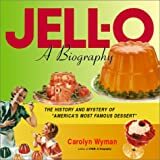 Remember: "There's always room for Jell-O!" In a bowl, combine jello and 1 cup boiling water. Stir until jello dissolves. Add sliced frozen strawberries and stir until strawberries break apart. Drain the pineapple and add to the berries. Add the mashed banana. Spoon half of the jello mixture into an 8-inch square cake pan. Chill until set. Set other half of mixture aside and leave at room temperature. Combine the cream cheese, sour cream and walnuts. Spread evenly over set jello. Pour remaining jello mixture over cheese mixture. Chill until set. Cut into squares and serve on crisp lettuce leaves. Wander the shelves at Amazon.com for all your cookbook needs! Keep updated on all things strawberry by signing up for my FREE newsletter.